It was great to be back in Hong Kong especially after a twenty hour overnight sleeper journey from Shanghai, the deluxe soft sleepers are very good but soft is not really the word that should be used for the bunks. The journey however was excellent although there was less on offer in the way of snack trolleys than on the Xi’an to Shanghai sleeper but we had our own Shanghai picnic. 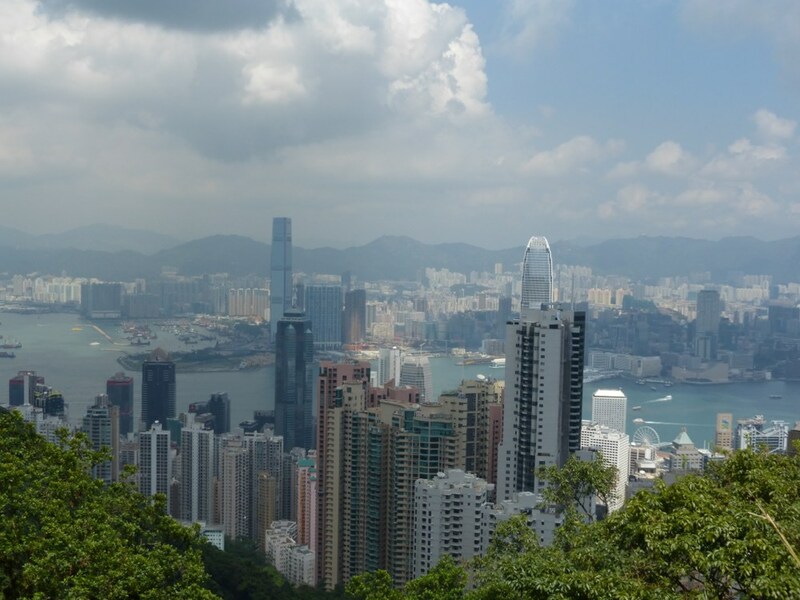 Having been in Hong Kong about five years ago we felt less pressure to dash round seeing all the sites which was great after the amount that had been seen in our three stops in China. Our five days here were to be spent exploring certain areas in more depth than last time but also to include a day trip to Macao which we hadn’t managed to fit in last time. 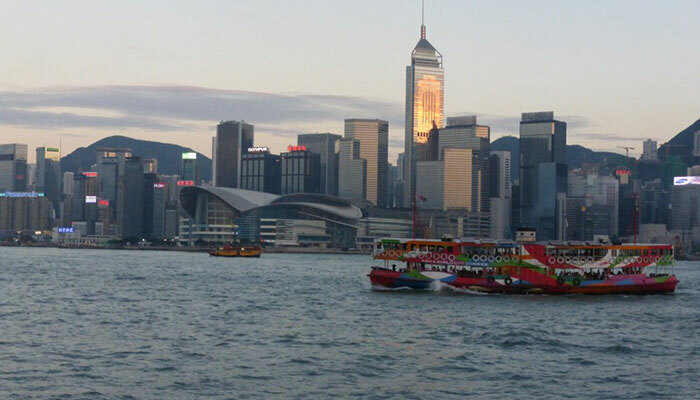 The other main activity was to be eating some great food in a wide range of places, easily done in HK. 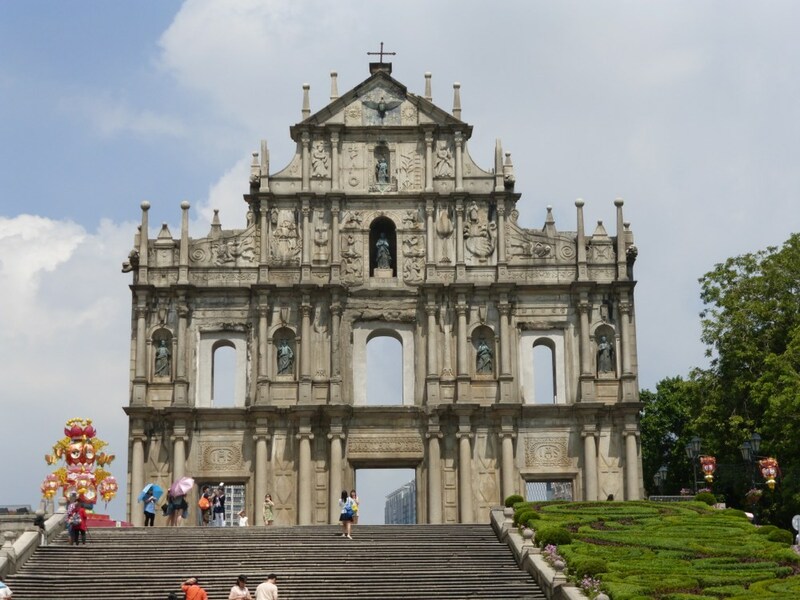 Our day trip to Macao was easily arranged as we were staying in Kowloon at the Royal Pacific Hotel and we discovered while exploring the hotel that the China Ferry terminal was contained within the complex. The first time ever on our travels that the hotel complex has contained among other things an outlet mall, a supermarket, numerous eating places, a ferry terminal and a stop for the airport shuttle express bus – all within one vast building. 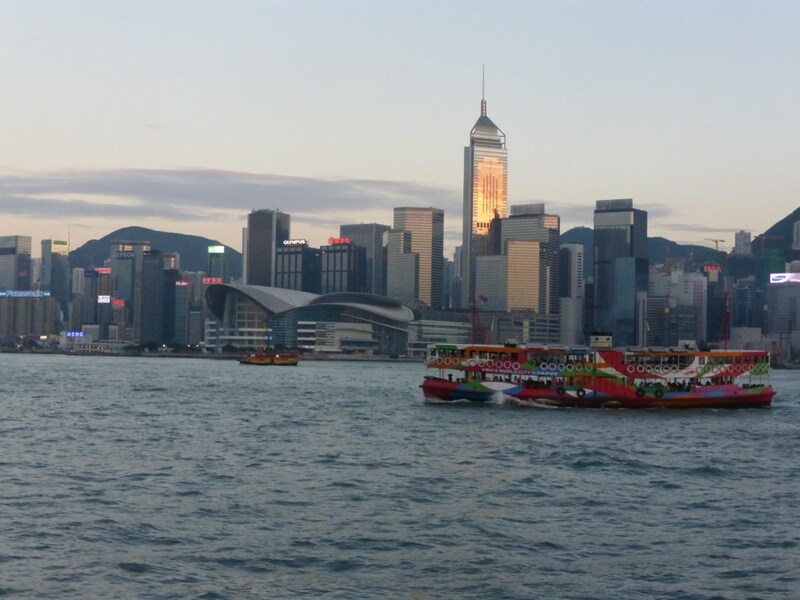 We booked our Macao tickets in advance and on the day simply checked in, completed the various immigration forms and set off on the hour long journey on a very large and fast catamaran. As a great fan of anywhere on the Iberian peninsula it was lovely to arrive and see everything written in Portuguese and in the heart of the old part be surrounded by the old colonial style buildings. It was also good to sample some traditional Portuguese cooking and of course the famous custard tarts. 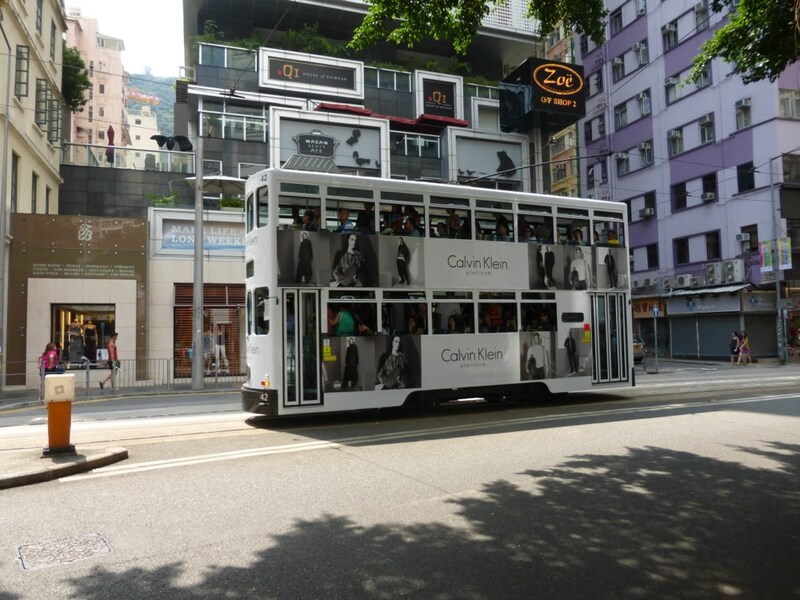 Macao is also famous as the only place in China where gambling is legal and since a local monopoly was ended in 2002 the big names from Las Vegas have moved in. 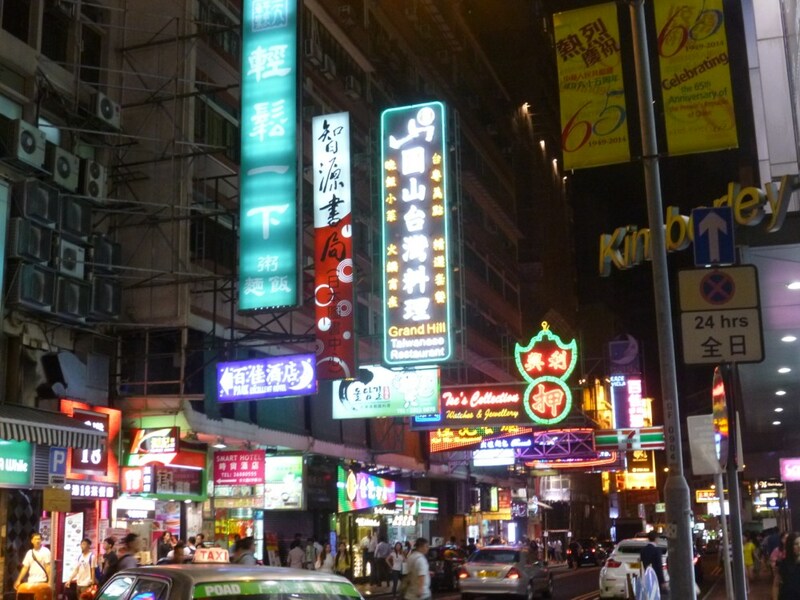 The revenue from gambling in Macao apparently overtook that of Las Vegas several years ago. It is quite a shock to see the huge casinos on the way back to the ferry terminal from the old part of the city. If like me you set your heart on lunch at the Clube Militar de Macao make sure your partner is not wearing shorts, we were turned away and I so wish I hadn’t looked at the menu first. 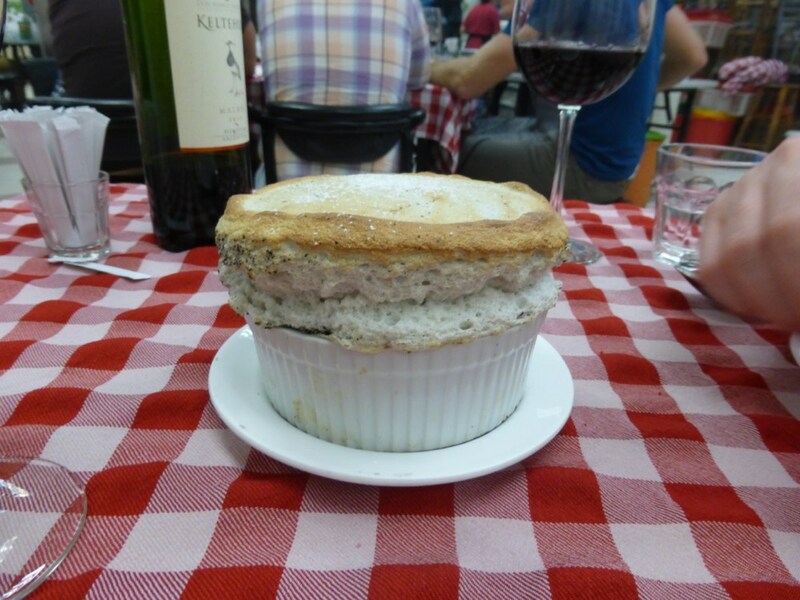 Back in Hong Kong we had not made any restaurant reservations in advance but one on the list was ABC Kitchen ( a better cooking kitchen) set up in the Queen Street Cooked Food Market in Sheung Wan by two guys who were previously at the now closed highly rated M on the Fringe. We were lucky enough to get a table for Saturday night and in the hall containing a selection of eating places it was easy to spot ABC by the red checked table cloths. The service was excellent, the food very good, the famous suckling pig did not disappoint and the black sesame soufflé was brilliant. The very reasonably priced wine list, the food and the service made the total bill seem even more of a bargain that it was already. Bargain eating continued on our last full day in HK and we ventured out of our local Kowloon streets to Prince Edward to try the famous One Dim Sum, one Michelin star, and boy was it worth it. We were given a number and told that the wait would be about 30 minutes, sitting outside in the shade and choosing our dishes from an English menu the time soon passed. I knew it was good when the Shao Mai arrived they were the best I had ever tasted and every other dish was equally good, the steamed rice noodle with BBQ pork was delicious. We had six dishes and the bill was 130 HK$ the equivalent to £10, if we hadn’t been leaving the next day I would have gone back to try even more ! As always in our travels there has to be a variety of places and on the horizon as we explored Wan Chai on Sunday was brunch at Jason Atherton’s 22 Ships. I had looked at the menu and the reviews on line and was keen to try it but when we passed and saw it was packed and how good the place looked it was a definite to try. We came back after an hours wandering and were lucky enough to get two seats at the communal window table. 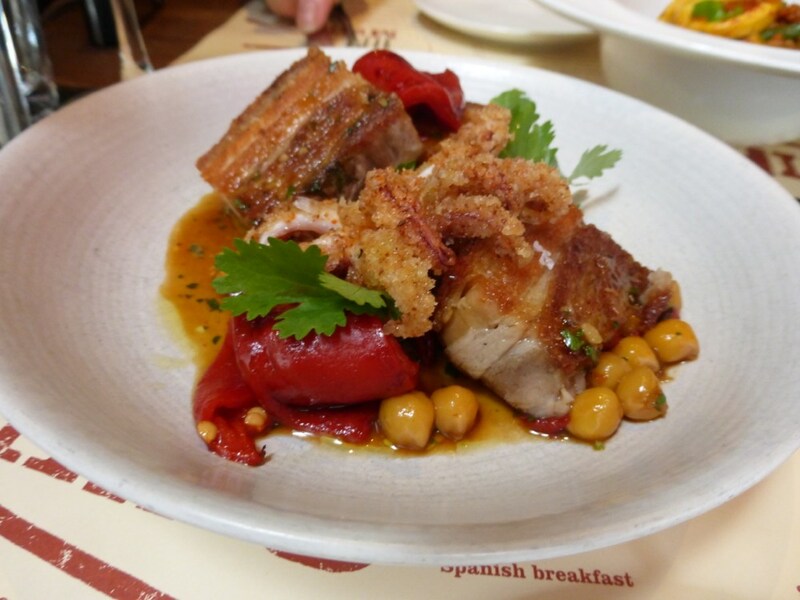 As in any of Mr Atherton’s places that we have tried the service was outstanding and the food as in La Esquina in Singapore loosely based on Spanish Tapas. The seafood paella and the belly pork with squid and chickpeas were both outstanding, riots of flavour and colour and accompanied by a bottle of excellent white wine what better way to spend a Sunday lunchtime. Lastly on our culinary journey was Yardbird, beak to tail eating, Japanese style, this is in the Asian top 50 restaurants list from San Pellegrino and had been on my own list from the start of planning this trip. The fact that a director at Temple Restaurant in Beijing had also said it was a must made it a definite to visit. No reservations are taken therefore we were at the door before it opened at 6pm by which time a small queue had formed behind us, by 7pm the number of people waiting had seriously grown. We were helped in our choice by the knowledgeable staff and shared a half portion of the great sweetcorn tempura, followed by six skewers of various parts of the chicken, some not often eaten, all excellent, the final dish was a half portion of the KFC cauliflower – amazing – a really good HK experience. 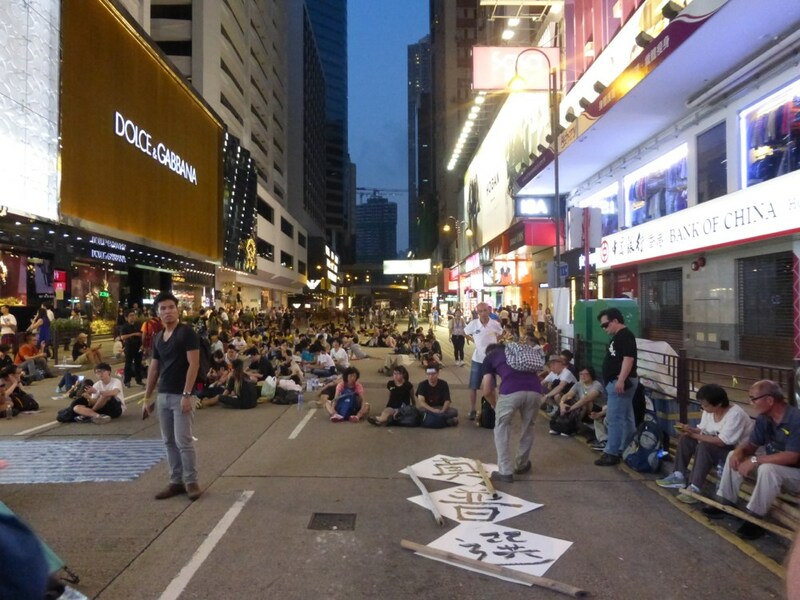 While we were in HK the pro democracy protests were taking place and it was the most peaceful, most polite and most tidy protest I have ever seen. Our travels were not disrupted, the protestors were incredibly polite informing us about their reasons and wanting to make sure that people were not being inconvenienced. They tidied up constantly making sure that none of the gifts of food and water that they were receiving created rubbish. It certainly added to making this a memorable visit. 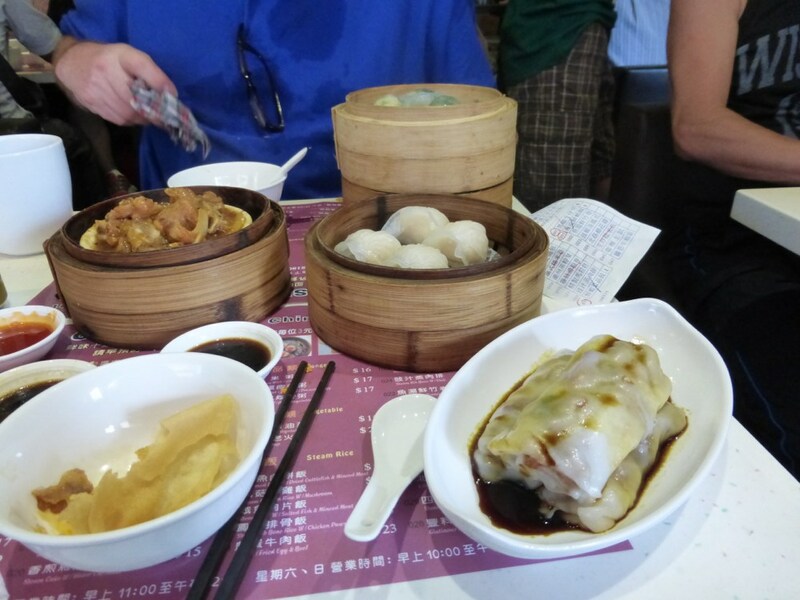 There is lots of information on the Hong Kong city page about things to do and other places to eat but as I said at the start our last stop in Hong Kong was a lot about eating some good food and we succeeded. Japan – A Survival Guide !